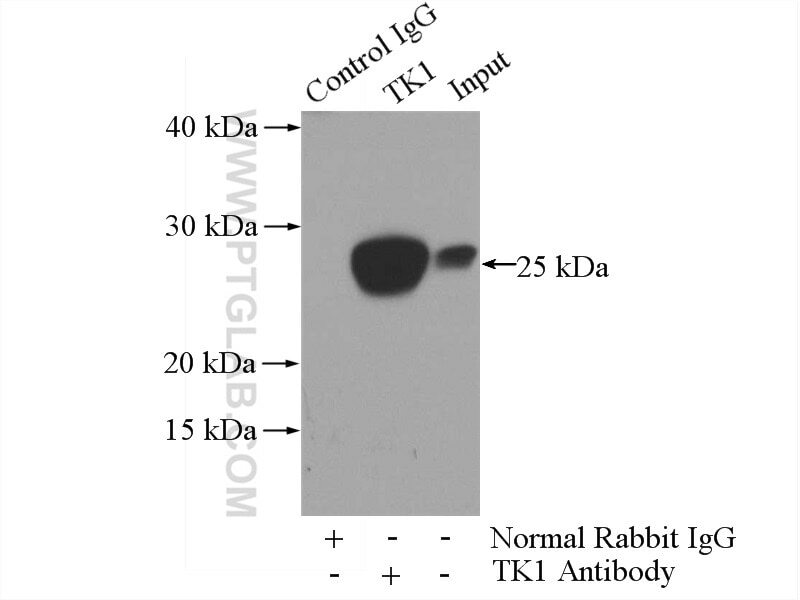 Immunofluorescent analysis of Hela cells, using TK1 antibody 15691-1-AP at 1:25 dilution and Rhodamine-labeled goat anti-rabbit IgG (red). 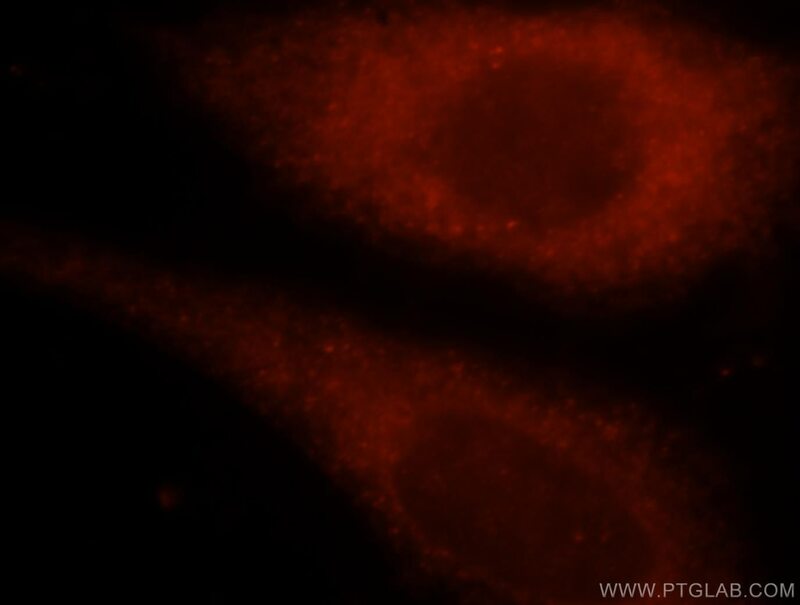 IP Result of anti-TK1 (IP:15691-1-AP, 3ug; Detection:15691-1-AP 1:500) with HEK-293 cells lysate 3200ug. TK1(Thymidine kinase, cytosolic) belongs to the thymidine kinase family and is a regulatory enzyme that can interchange between its dimeric and tetrameric forms, which have low and high catalytic efficiencies, respectively. 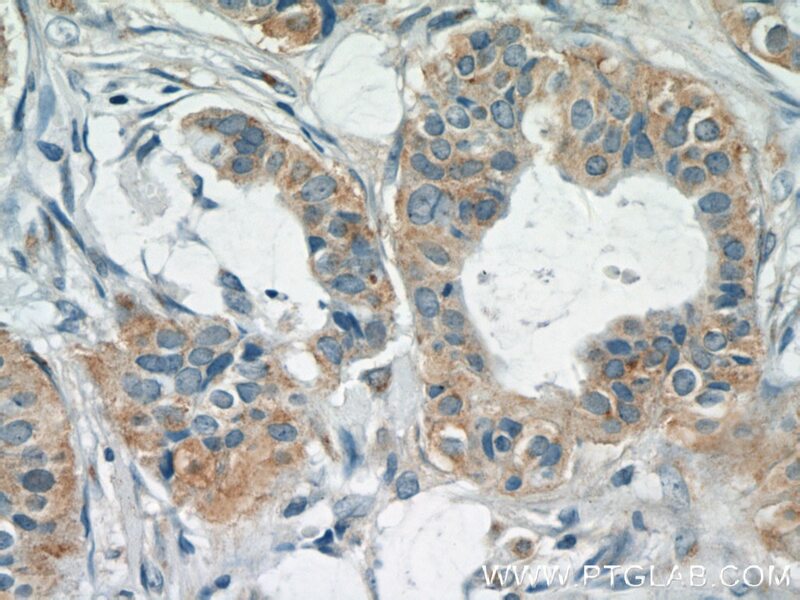 TK1 is involved in DNA synthesis and an important proliferation marker(PMID:21178264). Fhit and Wwox loss-associated genome instability: A genome caretaker one-two punch.